Abstract: Finding gold in the Kupferschiefer is exciting for the economist who gains a considerable improvement in the profitability of the mine, but in the case of the Kupferschiefer it is primarily a paradigm change. For a long time the miners recovered precious metals, that is gold, silver, platinum, palladium from the Kupferschiefer ore pyrometallurgical smelters. However, the scientists largely disregarded this matter until recently. This is changing, with consequences. The Permian Kupferschiefer sea covered an area of more than 600,000 sqkm. from today’s east Greenland to central Europe: Germany and Poland. The strata of the sea is expressed by a thin black shale layer covering Rotliegend sandy and conglomeratic sediments and is covered by younger limestones. It is very barren of lifeforms and is not metamorphosed. Kupferschiefer has been identified by Agricola in his monumental book from 1556 and has been described since the mid-1800s in hundreds if not thousands of research papers. On the southern end of the Kupferschiefer sea area the so called European Copper Belt extends over more than 1,000 km west to east where the Kupferschiefer associated metals are being mined at a volume of about 500,000 tons of Cu metal per annum. The origin of the Kupferschiefer black shale sediments has long been believed to be the bottom accumulation of an euxinic sea with aspects of red-bed mineralization. Which may be true in part for the vast shallow hostile sea in the era of the Permian extinction. At the southern margin of the sea – not close to the coastline – extends the European Copper Belt. Here, the copper rich mineralization occurs in the underlying Weissliegend sandstone, is sequentially layered with polymetallic, copper and precious metal rich mineralization in the Kupferschiefer black shale and extends upwards in the hanging wall dolostone. It is in the Kupferschiefer, however, where high temperature copper minerals like digenite and bornite and chalcocite carry disseminated and partly exsolved gold (Electrum) and other precious metals in a matrix of hydrocarbon rich chemical mud. This mineralization is of deep hot hydrothermal origin with many aspects related to very deep sourced mantle brines extruding “black-smoker-like” into the shallow Permian sea in a failed rifting tectonic environment. This paradigm change from low temperature synsedimentary and/or red-bed-type deposition to hot hydrothermal active intrusive-extrusive chemical brine mud volcanism makes a great difference for the scientific explorer: Whereas before there was no exploration technique available except wildcat drilling, now a model has been developed that recognizes the tectonic and intrusive-extrusive hydrothermal-post-volcanic environment and is able to pinpoint metal rich targets of considerable grade and tonnage, particularly contained in the footwall Weissliegend sandstone, a model exemplified by the Spremberg discovery in Germany and the Rudna mine in Poland. Additional information about the Kupfershiefer can be found at Kupferschiefer Myths Debunked by Stanley B. Keith, Jan C. Rasmussen, and Volker Spieth. Bio: Volker Spieth earned his B.Sc. in Tuebingen, Germany, working on moon rocks and the newly discovered Ries meteor crater. He earned his M.Sc. in ore deposit mineralogy in Aachen, Germany, for work on base metal deposits in Iran. As exploration geologist and manager for AMAX and St. Joe Minerals he gained the leadership experience in natural resource development. With his own junior mining company GWB based in Hannover, Germany, he explored, discovered and developed world wide, for corporate clients and private investors. In this role he discovered gold, base metal and industrial minerals deposits, and brought them to development and production in more than 50 countries, from Greenland to Mongolia, from Bolivia to Siberia, with the last successful project being the Spremberg Kupferschiefer Cu-Ag-Au deposit in Germany. He published scientific papers and is currently finishing his research work at the University Stuttgart, Germany, as PH.D. candidate. Stanley B. Keith has over 40 years of exploration experience focusing on ideas, exploration, and discovery of mineral and energy resources. His hands-on knowledge and extensive international experience include nearly all mineral deposit types and geologic settings. 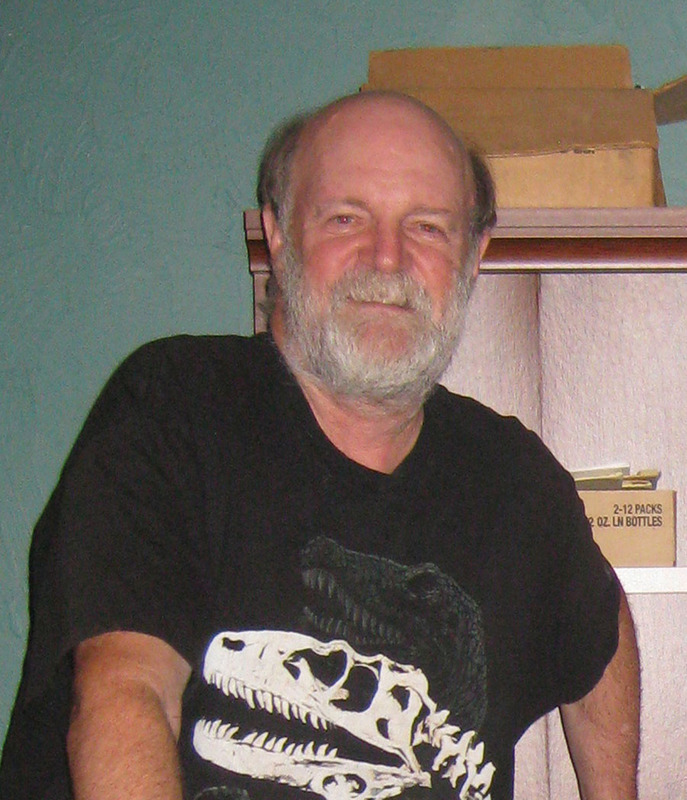 Stan began as a field and research geologist with the Arizona Geological Survey in the late-1970s, when he recognized an empirical relationship between mineral deposits and their associated igneous rocks. Exxon Research funded a project to research this concept as applied to the southwestern United States. In 1983, Stan co-founded MagmaChem Exploration Inc. and directed the development of the Magma-Metal Series Classification while working on numerous exploration and research projects for both mineral and energy exploration companies. Stan is a prolific writer and speaker and has co-authored hundreds of technical reports and publications. His marathon, 3-day, magma-metal series workshops and field trips have been presented to major companies in the mineral industry and the oil and gas industry. Beginning in 2000, Stan and colleagues began applying the MagmaChem model to oil and gas, which led to the concept of the serpentosphere (at the Moho), the hydrothermal origin of kerogen, and a reconsideration of the origin of the Kupferschiefer deposits as results of mud volcanoes. Throughout his career, Stan continually returns to the reality of the field, testing ideas through geologic mapping. Stan is a University of Arizona alumnus and received a B.S. degree in Philosophy in 1971 and an M.S. degree in Geology in 1975.